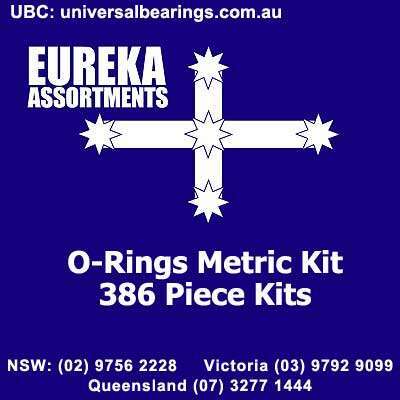 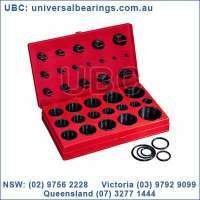 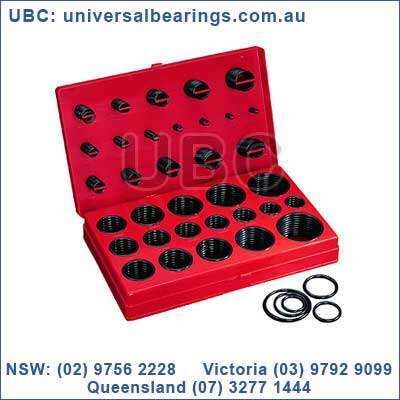 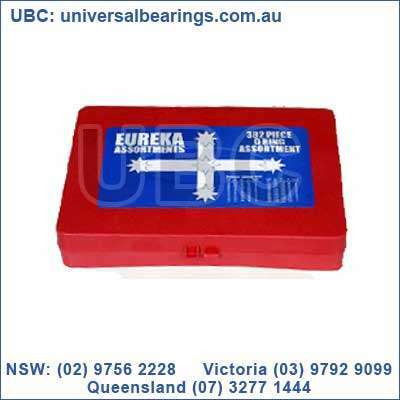 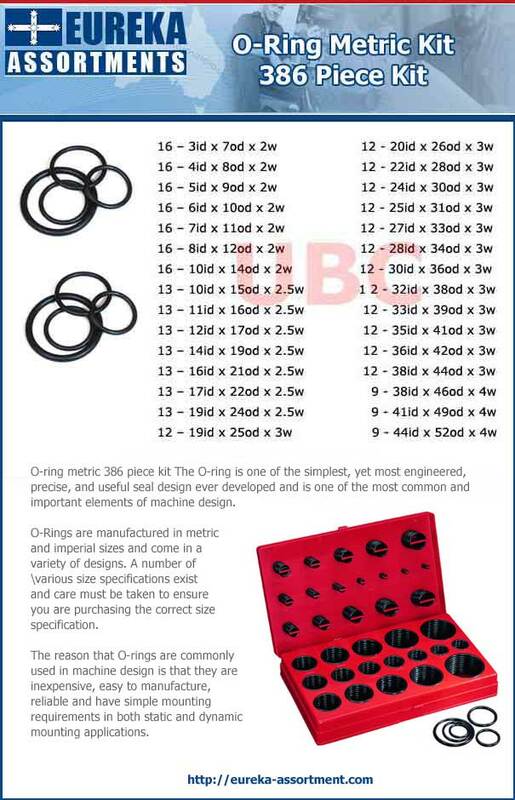 O-ring metric 386 piece kit The O-ring is one of the simplest, yet most engineered, precise, and useful seal design ever developed and is one of the most common and important elements of machine design. 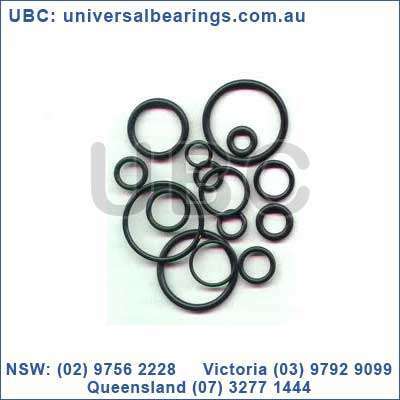 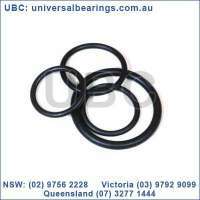 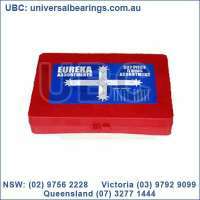 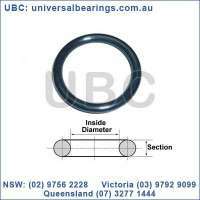 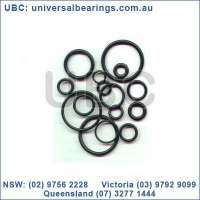 O-Rings are manufactured in metric and imperial sizes and come in a variety of designs. 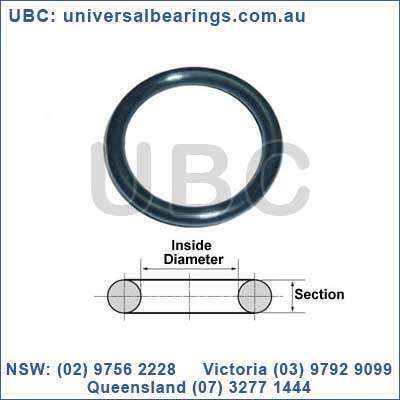 A number of various size specifications exist and care must be taken to ensure you are purchasing the correct size specification. The reason that O-rings are commonly used in machine design is that they are inexpensive, easy to manufacture, reliable and have simple mounting requirements in both static and dynamic mounting applications.